The SeaRiver Maritime Company was formed in 1993, in the wake of the Exxon Valdez Incident. The original company, the Exxon Shipping Company of Wilmington, Delaware. Was rebranded when in the aftermath of the Exxon Valdez incident in an effort to remove the oil company's physical names from the vessel's names. In 1999, the Exxon Oil Company of Wilmington, Delaware Merged with the Mobil Oil Corporation of New York, New York. To form the ExxonMobil Corporation of Irving, Texas. 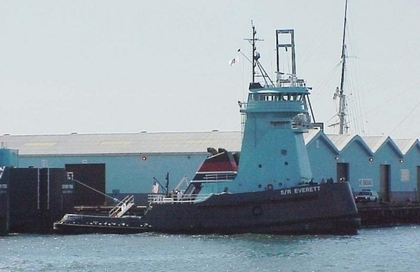 The SeaRiver Maritime Company operated as a subsidy of the ExxonMobil Corporation until 2002, when the last of SeaRiver Maritime's remaining assets where liquidated.